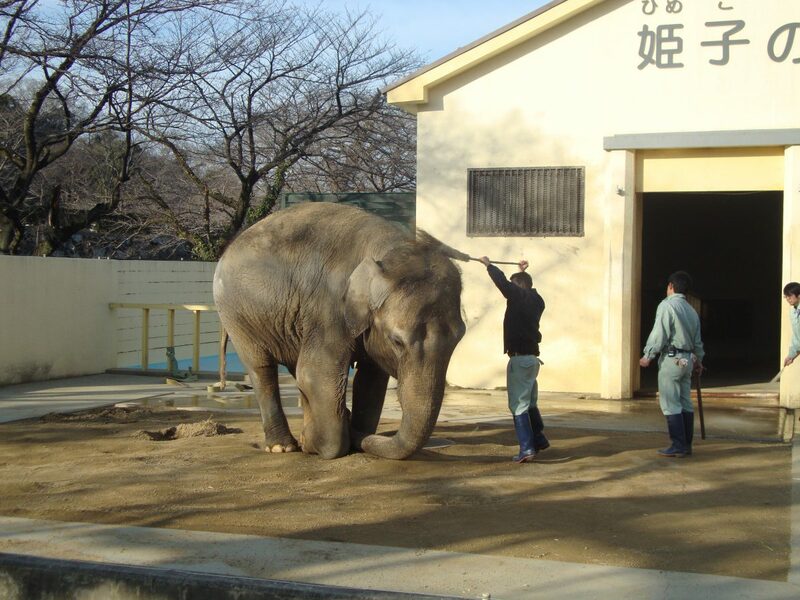 Himeko the elephant has spent 23 years alone in the Himeji City Zoo in, Japan. Her continous bobbing and swaying is NOT “dancing,” as often parents explain to their children. It’s a common stereotypical behavior, often seen in captive wild animals kept in substandard enclosures. They are often associated with boredom, anxiety, frustration and depression, and they mean that Himeko’s biological, behavioural and social needs are not being met. 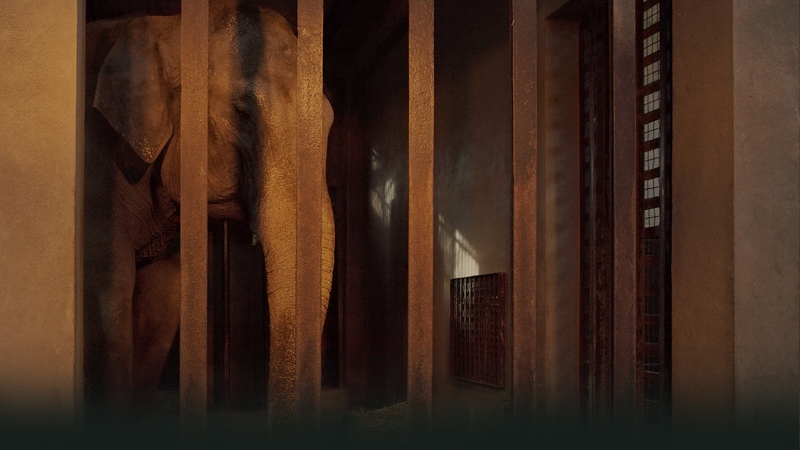 Coming soon: Information on who exactly to target in your petitions and outreach – to help Himeko and the other solitary elephants in Japan. Find out how you can start helping Himeko now HERE. 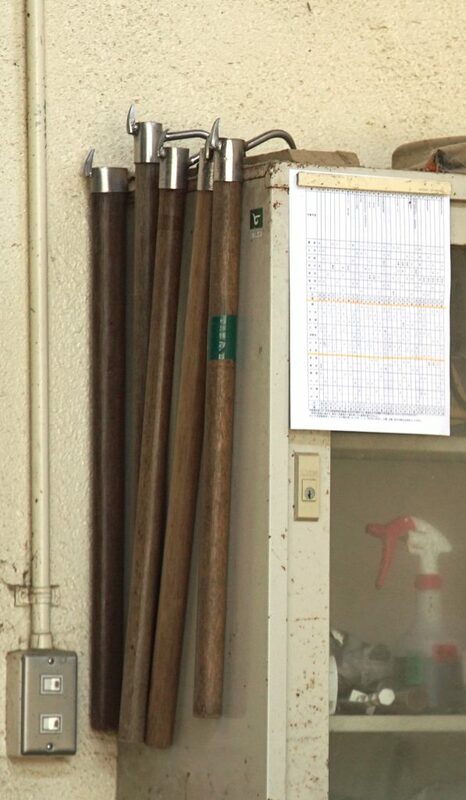 Keepers order Himeko to perform, with the use of a bullhook. 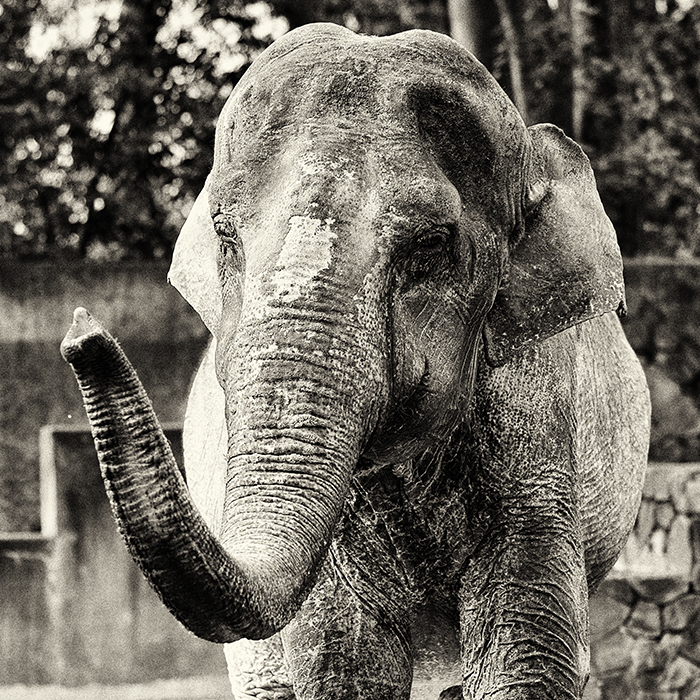 Bullhooks have a sharp hooks, which is used to jab an elephant’s most sensitive areas to inflict pain.